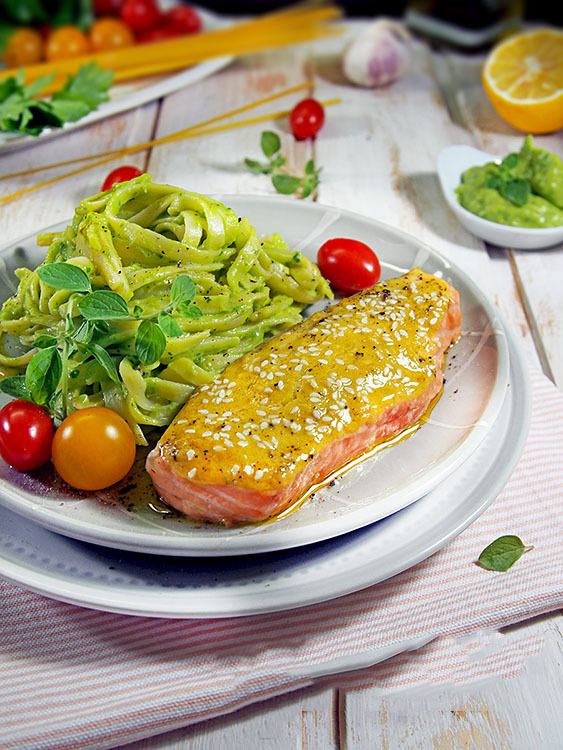 Salmon with linguine in avocado sauce, delicious and healthy food for dinner. Cut the fish in portions and mark it. In a bowl, mix the mustard, garlic, olive oil and pepper. Smash the pieces of salmon with the mixture on one side only and sprinkle with sesame. Put them in a tray covered with baking paper. Heat the oven to 180 * and bake the fish for 10 – 15 minutes. Do not overdo it! The interior must remain juicy and fresh in pink color. Boil the paste as described on the packaging and drain it. Together all the green cream products, diluting it gradually with the linguine broth according to the density you prefer. Pour the avocado cream into the paste and mix. 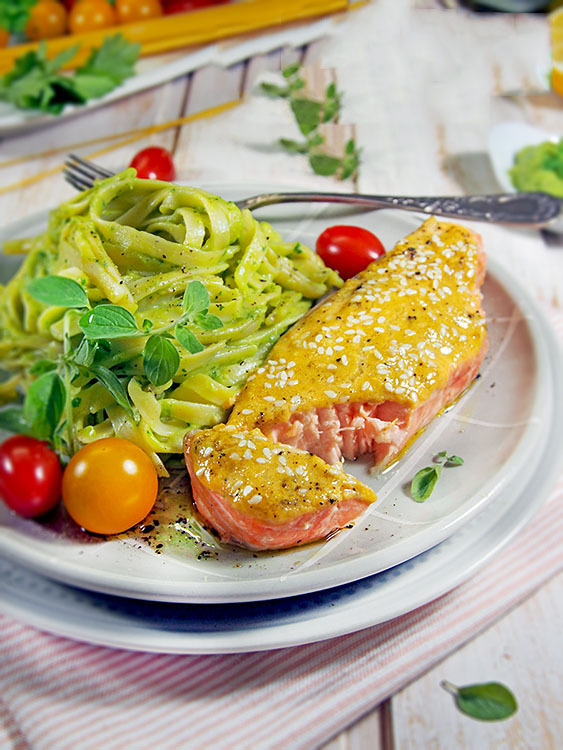 Serve salmon warm, garnished with green linguines and Enjoy !